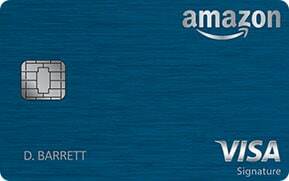 The Amazon Rewards Visa Signature Card is a straightforward cash back credit card with no annual fee. It’s designed for habitual Amazon shoppers who spend freely with the retail giant and its grocery subsidiary, Whole Foods Market. It also has above-average rewards for people who dine out often, drive heavily, and regularly make purchases at drugstores such as Walgreens and CVS. The easiest way to redeem cash back earned with this card is for instant discounts on purchases from Amazon.com. However, the card and its rewards program are managed by Chase, so users have access to the same expansive menu of cash back redemption options afforded to other Chase cardholders, including statement credits, travel expense reimbursement, gift cards, general merchandise, and more. This card has a decent sign-up bonus: a $50 Amazon digital gift card that hits your Amazon account as soon as your credit card application is approved. It boasts a standard slate of Visa Signature benefits, too. Otherwise, the Amazon.com Rewards Visa Signature Card is definitely a no-frills piece of plastic. If you pay $99 per year for an Amazon Prime membership, look into the similar Amazon.com Prime Rewards Visa Signature Card, which earns up to 5% cash back on eligible Amazon and Whole Foods purchases. You’ll earn a $50 Amazon gift card when your credit card account application is approved. The gift card is digitally applied to your Amazon shopper account. If you apply through your Amazon.com account prior to making a purchase, you may qualify for instant approval, immediately knocking $50 off the price of your pending order. This card earns unlimited 3% cash back on all Amazon.om and Whole Foods Market purchases. Purchases at restaurants, gas stations, and drugstores earn unlimited 2% cash back. All other purchases earn unlimited 1% cash back. Cash back is earned in point form, with one point always equal to $0.01 cash back. You can redeem your accumulated points for instant discounts on Amazon purchases, with no minimum to redeem. This is known as Amazon’s Shop With Points feature, and it’s the easiest way to cash in your cash back. You can also redeem for actual cash back (statement credits) at Chase’s Ultimate Rewards portal, plus gift cards, general merchandise, and travel (including airfare, hotels, rental cars, and more). For non-Amazon redemptions, minimum point requirements can vary, but generally do not exceed 2,000 points. This card has no annual fee. The foreign transaction fee is 3%. Balance transfers cost the greater of $5 or 5%, while cash advances cost the greater of $10 or 5%. Late and returned payments cost up to $37. This card requires good to excellent credit. Any notable blemishes in your credit history are likely to disqualify your application. No Annual Fee. The Amazon.com Rewards Visa Signature Card has no annual fee, meaning there’s no financial penalty for keeping it in your wallet for occasional use. That’s great news for frugal cardholders who don’t spend enough at Amazon or elsewhere to offset a recurring annual charge. Excellent Rewards on Amazon and Whole Foods Purchases. This card earns 3% cash back on all Amazon.com and Whole Foods Market purchases. That’s an excellent top earning rate. And, because you can buy pretty much anything from Amazon, it’s theoretically possible to earn 3% cash back on the bulk of your card spending. Above-Average Rewards in Popular Categories. On top of the 3% cash back earning rate on Amazon and Whole Foods purchases, this card offers above-average cash back earnings on three popular spending categories: restaurants, drugstores, and gas stations. If you pair your Amazon or Whole Foods shopping habit with occasional (or frequent) meals out and lots of driving, these categories will serve you well. Smooth Redemption Process. It’s super easy to redeem cash back earned with this card. In fact, you can do so without any effort at all when you check out on Amazon. If you prefer to redeem for general statement credits, gift cards, or travel, simply log into Chase’s rewards portal and state your preference. There are no hoops to jump through and, in most cases, no minimum redemption requirements. No Penalty APR. This card has no penalty APR, which is great news for cardholders who occasionally miss payments due to temporary liquidity issues. Many popular cash back credit cards carry penalty APRs that reach as high as 30% and last indefinitely once a payment due date has been missed. No Introductory Promotions. The Amazon.com Rewards Visa Signature Card doesn’t offer a 0% introductory APR promotion for purchases or balance transfers. That’s a big drawback relative to many competing cash back cards. For example, Citi Double Cash has an 18-month 0% APR promotion on balance transfers. Modest Sign-up Bonus. The Amazon.com Rewards Visa Card has a decent sign-up bonus: a $50 Amazon digital gift card that hits your Amazon account as soon as your card application is approved. However, this is actually less attractive than many other cash back credit cards’ sign-up bonuses. Competitors such as Chase Freedom (up to $175 when you spend $500 within 3 months of sign-up) and Capital One Quicksilver ($100 when you spend $500 within 3 months) have much larger bonuses. Few Fringe Benefits. This card’s main attraction is the fairly generous cash back program. It has virtually no additional benefits, aside from the decent, but not spectacular, sign-up bonus. If you’re looking for a credit card with attractive perks such as complimentary rental car insurance and baggage protection for travelers, look to competing cards such as Chase Sapphire Preferred. Has a Foreign Transaction Fee. This card has a 3% foreign transaction fee. That’s a big drawback for cardholders who frequently travel abroad, perhaps on road trips to Mexico or Canada. The Amazon Rewards Visa Signature Card doesn’t have the simplest cash back rewards program ever. It earns 3% back on Amazon.com and Whole Foods Market purchases; 2% back on restaurants, drugstores, and gas stations; and 1% cash back on everything else. Some competing cards offer flat cash back rates on all purchases, no matter the category. However, the Amazon.com Rewards Visa Signature Card’s purpose is straightforward: to reward frequent Amazon.com shoppers who also eat out and drive often, and who like credit card rewards programs that make redeeming rewards as easy as possible. If that sounds like you, give this card a closer look. The Amazon Rewards Visa Signature Card is ideal for committed Amazon and Whole Foods shoppers. It’s not a bad deal for those who spend heavily at restaurants, drugstores, and gas stations, either. It’s especially useful for people in rural or thinly populated areas, who drive a lot as a matter of course and don’t have easy access to major shopping outlets (though it’s equally beneficial for urban Amazon regulars within easy reach of a Whole Foods or two). This card isn’t ideal for cardholders who avoid Amazon and Whole Foods, nor those who crave juicy sign-up incentives, introductory APR promotions, or fringe benefits. The Amazon Rewards Visa Card’s key benefits include the lack of an annual fee, the excellent rewards on Amazon and Whole Foods spending, the above-average earning rates on spending at restaurants, drugstores, and gas stations, the smooth redemption process, and the lack of a penalty APR. 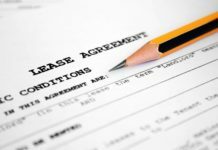 Its major drawbacks include the lack of an introductory APR promotion, the modest sign-up bonus, the lack of fringe benefits, and the 3% foreign transaction fee. Overall, this is a great credit card for frequent Amazon shoppers who also do their fair share of spending in its 2% categories.